The British Hospitality Association (BHA) and Association of Licenced Multiple Retailers (ALMR) merged earlier this year to create UKHospitality, a new association representing 700 operators across 65,000 sites. The merger came out of the joint work undertaken by the BHA and ALMR on Brexit and National Living Wage after influential members grew frustrated that the sector’s concerns weren’t being heard at the highest levels of government. 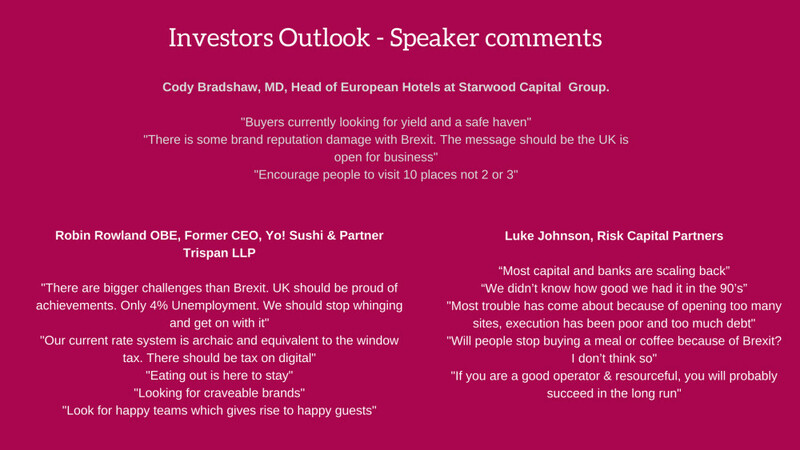 Earlier this week 'Shaping the Future' Summer Conference took place, the first UKHospitality conference since the new merger. Building on the success of the BHA Hospitality and Tourism Summit and the ALMR Spring Conference, the event amalgamated the best and most timely discussions from the accommodation, food service, leisure, pubs and bars sectors. Shaping the Future gives the industry a single platform for the voice of the hospitality and tourism sector and is the perfect stage for setting out the plans for championing the UK's hospitality business interests. 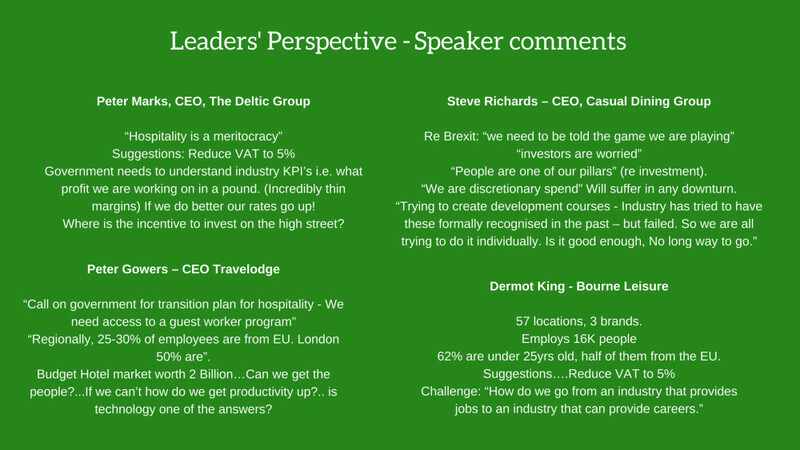 'Shaping The Future' brought together the most senior figures in the hospitality and tourism industry, agenda-setters, members of the Government and media. The agenda was packed full of insightful and forward thinking sessions, with an array of fantastic speakers who navigated delegates through the issues faced by the industry and inspired on how the challenging environment can be overcome and positively promote, what is one of the fastest growing and most productive sectors in the UK today. More than 500 business leaders joined the event from across the sector to discuss the opportunities, reflect on the current outlook and explore the potential for collaboration with government. 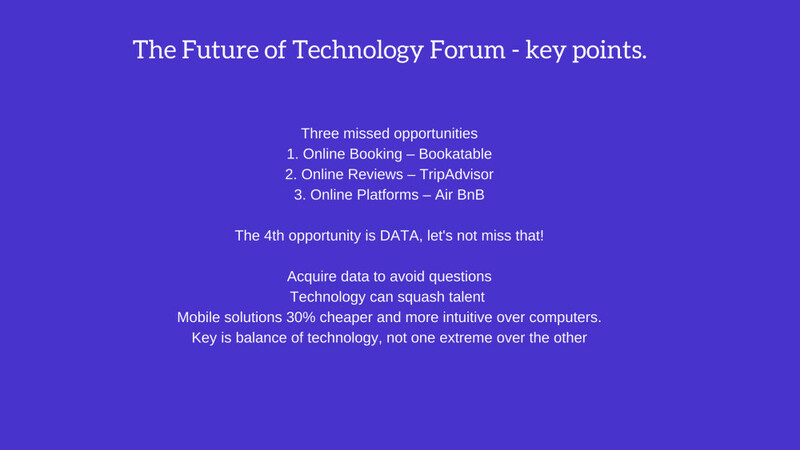 The message of the day was clear, that from a single platform, Shaping the Future will cement the voice of the industry as a single unified voice for all hospitality businesses. Tahola has been producing elegant and intuitive data warehousing and business analytics solutions to the Hospitality Sector for over 15 years. With a proven track record in bespoke business analytics and system integration our Data experts are able to guarantee consistent quality, resulting in significant improvements to your data strategy, helping organisations to truly understand performance, based on the metrics that matter to them. Resulting in the provision of a unique and complete range of information that will improve business performance and ensure a greater insight into their data. Tahola also offers a revolutionary analytics solution for the hospitality sector. TaholaCloud brings customers closer to their business than ever before. With intuitive and user friendly dashboards and automated integration to a wide range of hospitality systems, customers can track KPIs and drill down to transactions, providing clear evidence of business performance that is updated on a daily basis. TaholaCloud provides organisations with the ability to monitor and control their business on any device in any location, at any time.